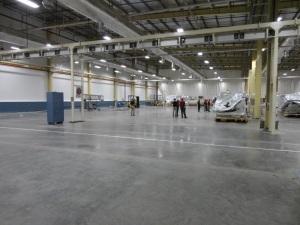 Concrete floor maintenance is crucial for industrial and commercial facilities. Damaged, deteriorating, and/or unstable concrete can disrupt daily operations and develop into issues concerning both employees and products. Products being transferred and/or stored on unstable slabs-on-grade and elevated structural slabs can lead to costly product damage, equipment damage and injured employees. Typically deflection from curled deflection/rocking floor joints or other situations leading to subbase support voids if not properly addressed lead to extensive floor damage and greater repair cost. We have proven concrete floor leveling/repair solutions that can typically be performed with little or no disruption to your business. Since 1972 we have researched, developed and employed procedures and combinations of materials that provide cost effective and proven repairs.